Full CGI created for The Lost Thing short film. The lost Thing has just been nominated for an Oscar at this years 83rd Academy Awards, in the catagory of Animated Short Film. Read an in depth interview with Tom Bryant, the films lead cgi artist & cgi supervisor, in Digital Media World for more production details and Interference Pattern’s extensive involvement. 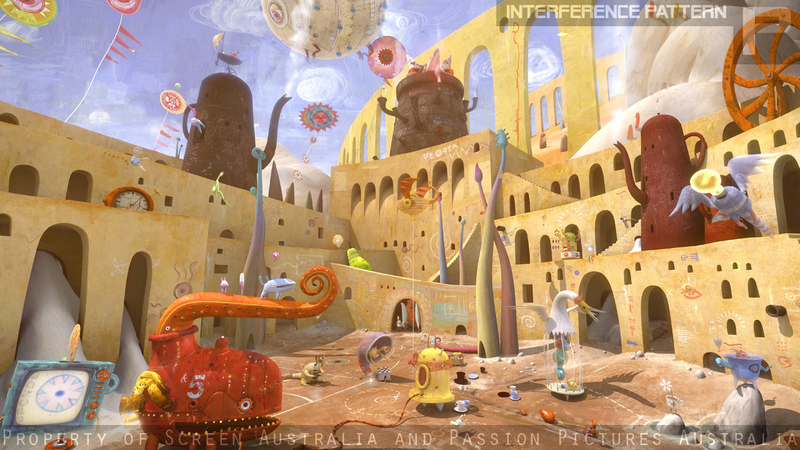 The film has won a plethora of awards, including the Cristal for Best Short Film at the Annecy International Animation Festival Best Short Film at the Melbourne International Film Festival and Best Animation at the Sydney Film Festival.